Hello ladies, here is the latest news from the “nest”! Despite the wet weather last night I am please to report we had 8 runners out! Including 3 newbies and 2 girls! You guys have bragging rights this week. It was a soggy run, but not cold or windy…refreshing! Next time, don’t let the weather dictate what you do or don’t do. Only YOU have that power. Lace up and choose to move! This group informally began almost 8 years ago from me coercing my neighbours to join me for some running – purely selfish on my part because I just didn’t want to go on my own. I am still coercing, but my circle of potential runners has expanded! For those of you who are in now of week 5 of your Learn to Run 5km program, think about who you can “coerce” to get out there. New programs will begin May 10th! I would love to hear your running stories and “publish” them here. You can do so anonymously if you like. I think that some of your stories may inspire others to join or fellow runners to stick with it. Last year I received a beautiful scrapbook from my Chicks which contains their stories. I will contact you before I use bits and pieces of your contributions!! I hope everyone is enjoying the warmer weather these days, it’s finally feeling like Spring! This is just an update for the upcoming swim season out at Kelso Lake. The registration link is open and ready! The swim times will remain the same this year, Thursday evenings from 6:15-7:45PM and Saturday mornings from 8:30-10:30AM. Swims start May 22nd and run until Labour Day weekend, the only change in dates will be the first Saturday swim will be moved to Sunday May 25th due to a Dragon Boat race at the lake. *Everyone gets one free trial swim! Feel free to email with any questions or check out our website, Facebook, and Twitter! KT Tape: I have had a glitchy knee for the past couple of weeks and have used this tape to help with alignment. Christine W is also a believer! There are youtube videos to explain application techniques. Might be beneficial for any of you with your own “niggles”. 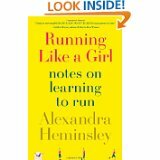 A Good Running Read: I am just finishing this running book “Running like a Girl” by Alexandra Heminsley. It is like a running manual crossed with Bridget Jones’ Diary! The first half is anecdotal: following her from inactive and overweight to marathoner/runner is a witty and lighthearted manner. Much of her experiences are those of most new female runners. The second half is more of a running manual discussing technique, gear and logistics. It’s a good book for anyone (new and veteran runners) requiring a little motivation to lace up and get running. I purchased on iTunes and listened to the audiobook as I ran my errands around town. MEC Race Series: Did you know that the Burlington MEC has a running race series? Me neither! Entry fees are only 15.00 for a variety of distances (5, 10, 15, Half marathon) for more info go to MEC races. 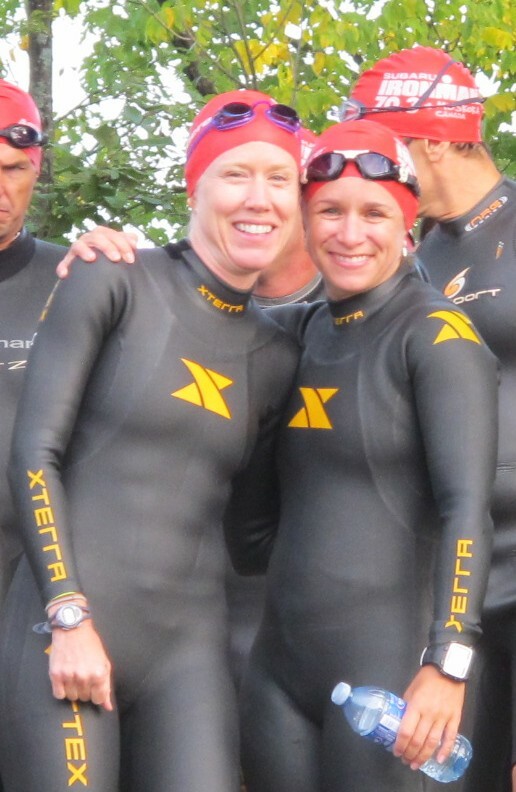 Next race dates are May 18, June 21, September 6, October 18. Might be a good option for a group effort! No medals though!! Wanna be a Chick on race day? 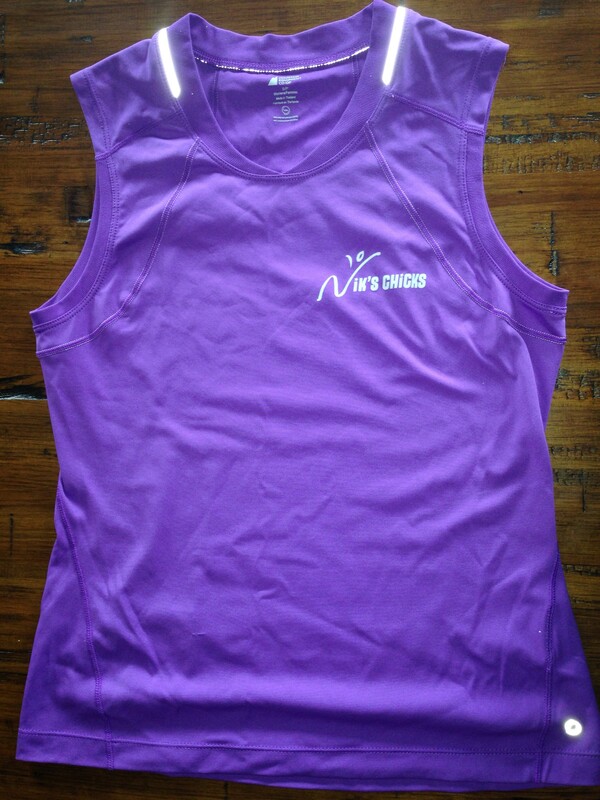 : You will be part of the group in your official Nik’s Chicks tank top. 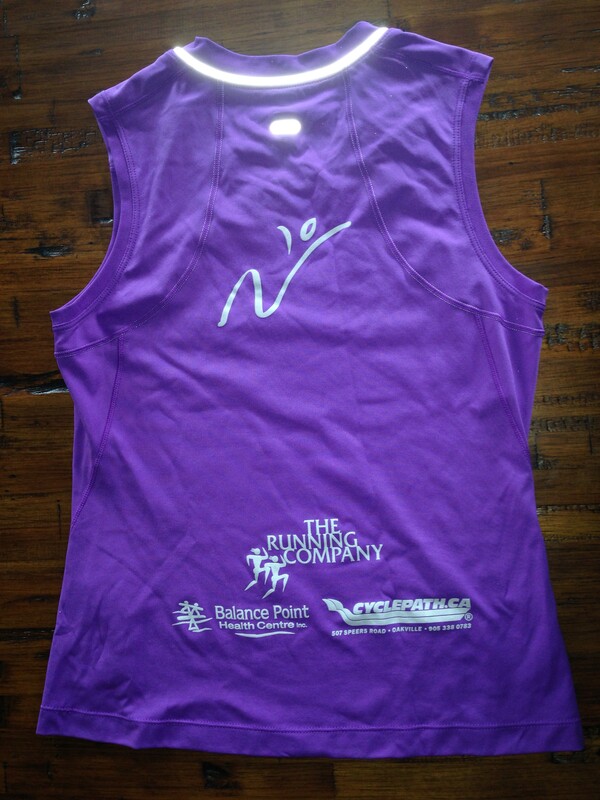 I have lilac, reflective MEC tops screen printed with group and sponsor logos. Only 20.00 each! Current stock levels: 4XS, 1SM, 15MD, 2L, 1XL. Purchase one early to avoid disappointment. 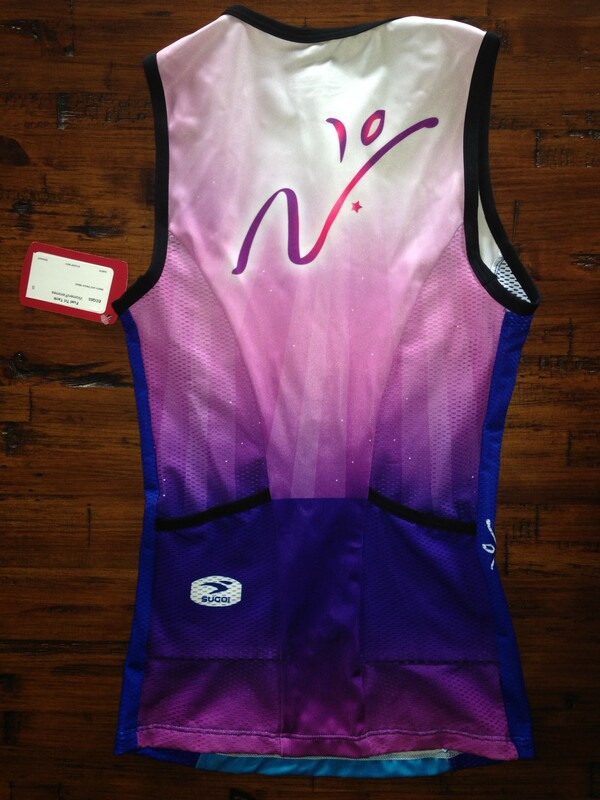 Or if you plan on doing some triathlons, a Nik’s Chicks tri top may be the choice for you! Regular price was 52.00 , now on for 30.00. Only 3 smalls and 1 large remaining. Mississauga 5km: OK girls, I have just registered for the 5km run that the newbies are training for! I look forward to carpooling, running and celebrating with you! The link to register is http://www.mississaugamarathon.com/registration.shtml Put down your money and commit to getting out of your comfort zone. It’s a casual race and there is NO pressure to run the whole thing. Just do your best and you will have a PR (personal record) by day’s end. Please forward your suggestions for a place to celebrate post race – around 9pm. A restaurant with a group meeting room would be ideal. I was thinking of The Works…. Shoe Drive: The Mississauga Marathon has a sneaker drive going on that we contribute to. Do you have old running shoes that look good but just don’t cushion anymore? Consider donating them! I will be collecting used shoes starting Saturday, March 29th and ending May 1. 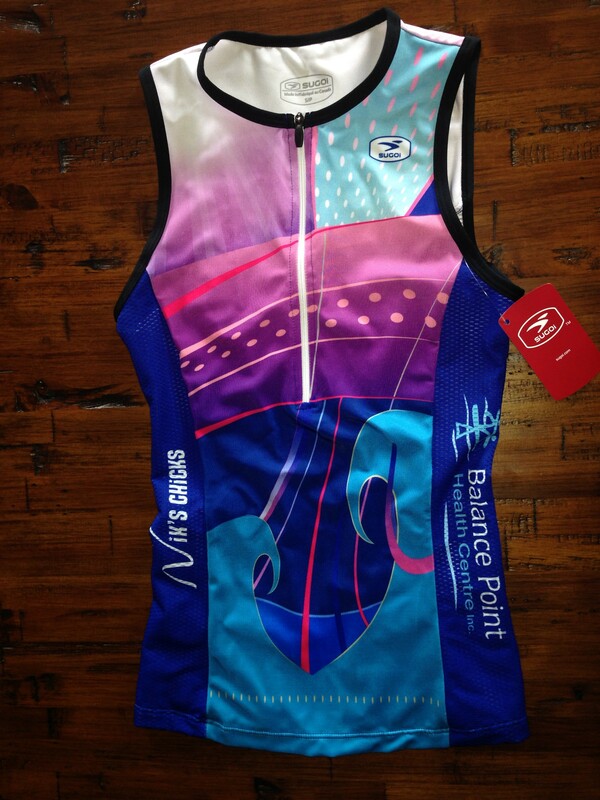 I will do the drop off on May 2nd when I pick up race kits at the Port Credit Arena. Please include kids and men’s shoes as well. Last year Nik’s Chicks donated 45 pairs of running shoes to New Circles – a charity whose primary service is their clothing program which provides new and gently used clothing for men, women and children in the Flemingdon Park, Thorncliffe Park and Victoria Village communities of Toronto. Let’s beat that number this year! I will place blue collection bins outside my house before each run. (If I forget, remind me pls!) Start digging! So far I have received 14 pairs. Nik’s Chicks have a fundraising goal of 500.00, and we are at 145.00! It would be great to surpass it! Please go to http://www.ooch.org/generalchallengeindividual2014?tab=0&frsid=14631 to donate to our group. If every member of the group donated 5.00 it would be a huge windfall! Thank you in advance for your support!! I will be going to pool this Thursday along with Jo and Lorraine! Tips from Runner’s World 2014 Daily Calendar: 1) Do yourself – and all runners – a favour and fight the impulse to confront rude drivers. Lashing out isn’t likely to change the driver’s behaviour and it may in fact worsen it. The still-seething guy may drive extra close to the next runner he sees just to make a point. 2) Join a group. You will run better in a team setting. Even if you don’t keep the same pace as the group, the first few minutes of the the workout with the group help. 3) Don’t train so hard for an event that you feel tired on the starting line. Many runners train too hard and then end up with less than a full tank on race day. Can’t fi in a once-a-week massage? Self-massage works well too. Taking even 30-40 seconds to knead your feet or calf muscles before heading out the door can really make a difference. Try making this part of your warm-up. 4) For the greatest recovery benefit, eat an energy bar (or other suitable snack) within 20 minutes of your run. If your workout was particularly hard or long, follow that with a light meal of protein and whole grain carbs one to two hours later.